How to properly manage and control your reputation online. What makes your restaurant stand out against your competitors. Search engine optimization and exactly how to climb Google’s recommendations. You never have another shot at a first impression. It takes about a 10th of a second for a consumer to form an opinion about your website, which determines whether they like your site or not, whether they’ll stay or leave. Especially in a town that depends so heavily on tourism it is important to make a name of yourself. Studies show that 8 out of 10 customers trust online reviews as much as a personal recommendation. Reputation management is very important when protecting your restaurant’s reputation. We help you respond to negative reviews and increase your reviews and ratings. And when it comes to running a franchise, consistency of reviews across all stores is expected. Strong branding goes hand in hand with strong reputation. A consistent and recognizable brand communicates exactly what your business stands for as well as what it has to offer. A brand represents how the public perceives your restaurant’s customer service, reputation, advertising and logo. When consumers are searching the web for the best restaurant in their area, 95% of them will not even click on the 2nd page that Google has to offer. It is important for your restaurant to be one of the top 10 because those are the websites that receive the most total clicks. of customers are researching on a mobile device. When discussing how online consumers research products, studies show that in the restaurant industry over 72% of customers are researching on a mobile device. It is essential that your website has user friendly design, allowing consumers to call and find your restaurant in seconds. And it needs a fast loading time. No one is waiting, especially not on a phone. 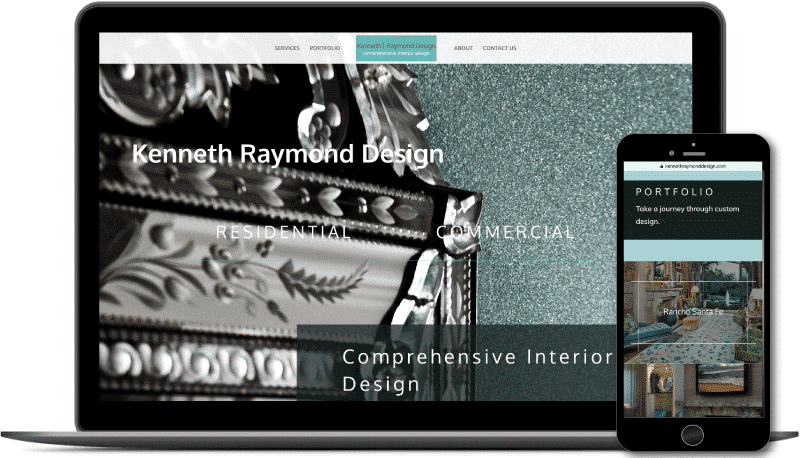 High-End, mobile-friendly websites that accommodate for the everyday phone user. The perfect way to display your delicious dishes! Customers trust search engines and online recommendations to guide them to restaurants. In the hustle and bustle of modern times, customers are more likely to order online. There is no more important aspect of commercial outreach than a company’s website. It’s as important as a flagship brick-and-mortar store, and will be the basis of most new leads’ first impressions of your company. With hundreds of restaurants in the Napa Valley, it is highly competitive to get the tourists to come to you! It is essential that your website for your restaurant is impressive, mobile friendly and fast. In the age of modern technology, previously time consuming questions like, “where should we eat tonight?” are answered with just a click of a button or a swipe of a screen. It is imperative to have a mobile friendly website that is both visually appealing and showcases the menu in a timely matter. Mobile friendly and visually stunning websites impress visitors with delicious pictures of food and help customers navigate through your website on their phones. Pictures speak a thousand words, so relevant images are a perfect opportunity to display what makes your company stand out. Studies show that page with quality images get 94% more total views than websites without the flare of vibrant images. Photos are becoming the new “universal language”. The fastest growing social media networks are Facebook, Tumblr and Instagram, which are all very heavily image based. Search engine optimization (SEO) can be quite complicated and that is why WSI is here to help you. When a customer is searching the internet for the best restaurant near me, a search engine (i.e. Google) ranks different websites based on popularity, traffic, reviews, location and so much more. WSI optimizes your website and implements the best SEO strategies to increases the number of customers who click on your page. With so many restaurants at their fingertips, today’s online customers are expecting lightning fast load times and nothing less. Search Engines like Google even use Page Loading Time as a way to determine Search Engine Rankings, which means they are more likely to guide customers to websites that are the fastest. Consumers have high standards for online ordering. Got an app for that? Consumers expect to be able to easily see menu options, restaurant wait times, order pick-up/delivery, and find ingredients, allergens, and nutrition facts.